Teaching hand signals for dogs can be easy to do and create a great bonding time with your dog. 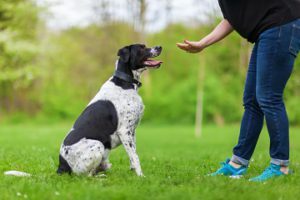 Dog training hand signals can be very helpful when you are in an area where your dog can’t hear you, like in an open field or at a busy dog park. Hand signals also are good for when your dog starts aging and has a hard time hearing or if you have a deaf dog. Dogs easily understand hand signals. You will also look very impressive with friends and family when they see how well your dog can behave with just some subtle hand movements. Have you ever noticed how closely your dog keeps his eyes on you? Our dogs watch our every movement every day, unless they are taking one of their many naps. They have a great understanding what many of our movements mean without us ever training them on the movement. Dogs’ senses are very strong, and one of their strongest senses is their sight. They use their sight to help understand what is happening around them. Teaching your dog hand signals will be easier than you probably ever expected. It is important that your dog first understands basic verbal commands prior to teaching your dog hand signals. Your dog should be able to understand sit, stay, down, and come. They should be reliable on completing these commands when asked. Keep hand signals easy. Use your verbal commands with the hand signals that you chose to use. Reward your dog with praise and treats when they accomplish what you are asking of them. Work on the training every day, but don’t work on it for longer than 15 minutes at a time. It will help your dog from becoming bored with the training. As your dog is starting to understand the hand signals, start reducing the treats to every other time, but continue with the praise. You eventually will completely ween your dog from the treats, but always continue giving your dog praise for following your commands. Remove the verbal commands as well as they are starting to understand your hand signals. You might need to periodically include the verbal commands to continue strengthening the hand signals. The training will work best when you do it in an area that offers little distractions for your dog. If you have a fenced yard, that is a great place to do your training, but anywhere there are few distractions will work. There are several hand signals that are commonly used with dogs, but you can use any hand signal that you choose. Make it fun, and make the hand motions easy movements to help prevent confusion from your dog. You can make up whatever you want to use. Here is a list of several commonly used hand signals for dogs if you would like some guidance on where to start with hand signals. Open Palm Up – Using an open palm up horizontal to the ground is used for your dog to sit. You should use this motion above your dog’s head. It is the same motion you use with a treat to get them to sit. Finger Pointed Down – This hand signal works well for telling your dog to lie down or show your dog where you want them to lie down. The finger point is good for directing your dog for many things, including crate up. Finger To Eye – This can be used for watch me. This especially works great if your dog is a distance from you and might not be able to hear you. To help you teach this signal, work on making sure your dog makes eye contact with you as you are saying watch me. Make eye contact with your dog to make sure they are watching you. Open Hand, Palm Forward – Place your open hand with your palm forward in front of your dog’s nose to get them to stay. This is very similar to stop. Outstretched Arm Brought To Chest – This is a great hand signal to get your dog to come. I even had a dog that the faster I moved my arm back and forth, the faster my dog would come. It is the same way we might wave a person over to us. 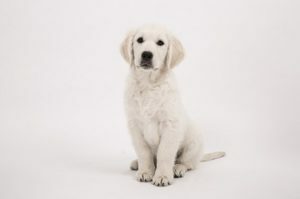 Tapping Side Of Your Leg – If your dog already know how to heel, you probably have already incorporated this hand signal, since it is so natural to tap your leg on the side that you want your dog to heel on. Start teaching hand signals for your dog when they are young. 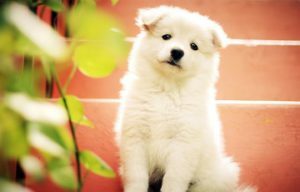 You can immediately start once your dog understands and routinely follows basic commands. It doesn’t hurt doing the hand signals that you plan on using at the same time as training your basic commands, but I would focus on the verbal commands and make sure they have a good understanding of the commands, but it can’t hurt including the movements at the same time. It will just make them more familiar with the hand signals once you start that training. 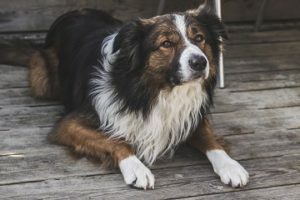 Dogs watch our movements to get keys to what is going to happen next all day long, so it is very easy to include dog training hand signals to get your dog to respond to your commands. They have already learned what several of the movements mean by watching you. Have fun teaching your dog hand signals. There is no rule book stating which hand signals you have to use for which action. They can be anything that you and your dog make work for you. You can teach your dog down and stay with hand signals. Stay consistent with your actions, and you will have better results if the movements aren’t overly complicated. To begin with, reward your dog with some type of treat that they really enjoy. You will get better results by giving them something that they like to eat. Include positive praise at the same time that you are providing treats. That will make it easier for you to eventually remove the treats as the reward and just provide praise for a job well done. Rarely are there no rules in anything in life, but there are no rules to which hand signals you can use. You both will enjoy the training more as long as you can have fun doing it. Make your own hand signals for your dog. If you have any questions or comments, please leave them below. You can follow justforyourdog.com on Pinterest, FaceBook or Twitter for all our latest updates.